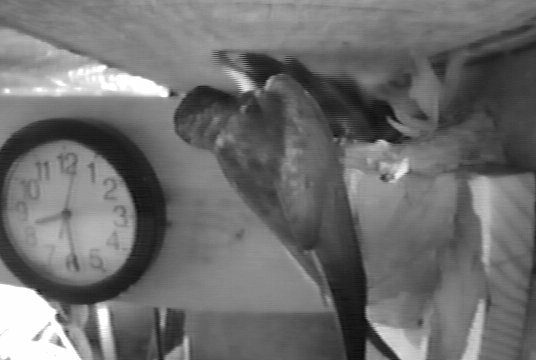 Several barn swallow nests are being videotaped for varying lengths of time. 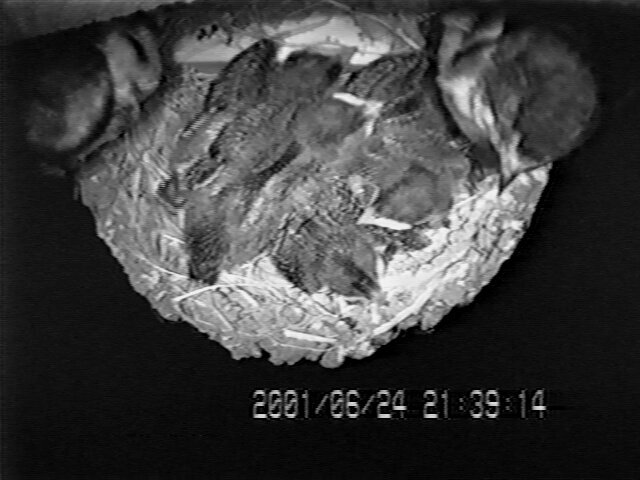 All are in artificial nests. 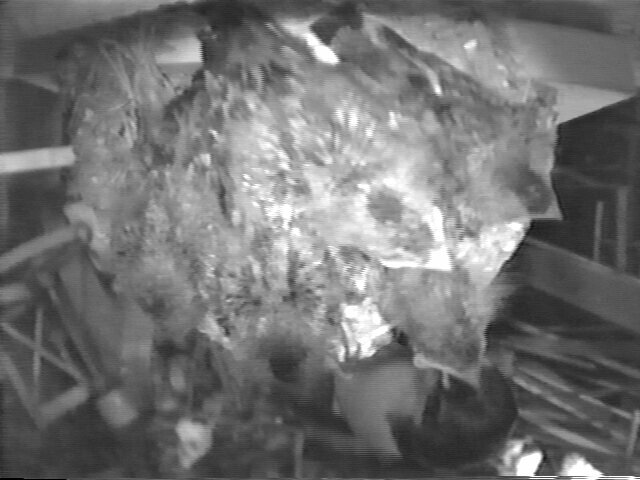 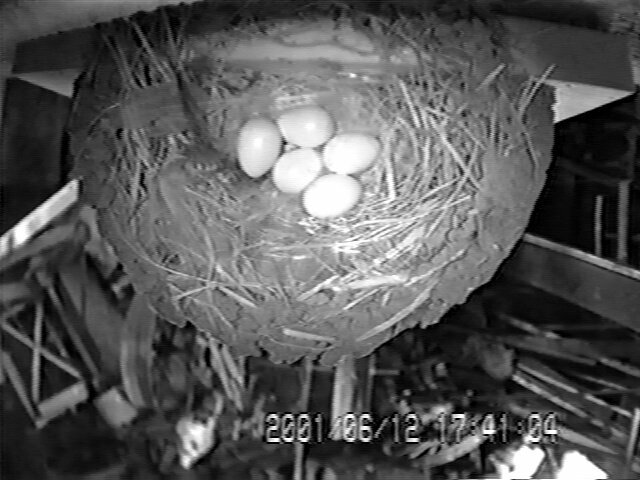 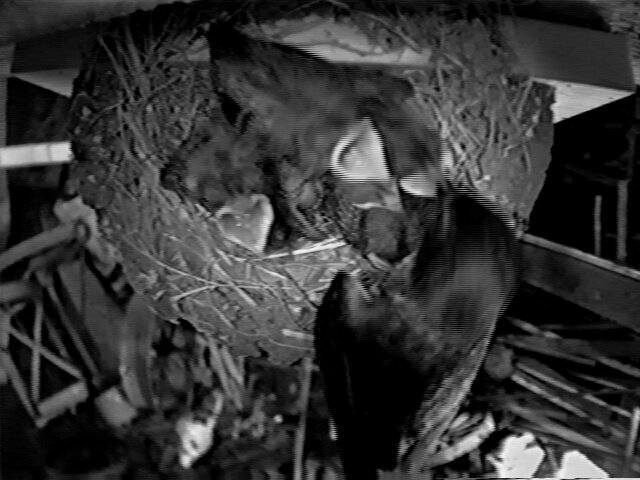 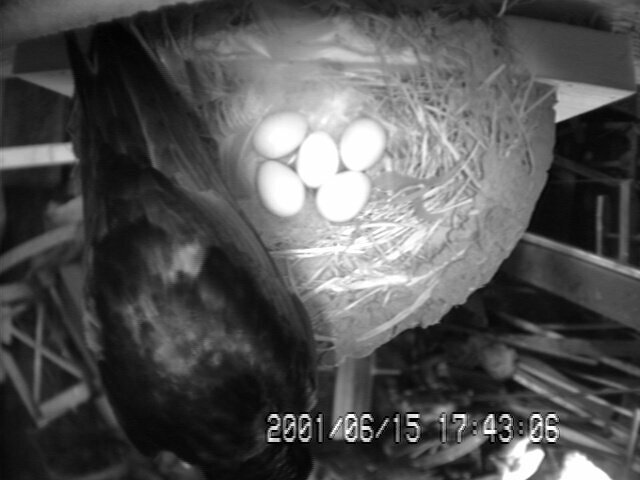 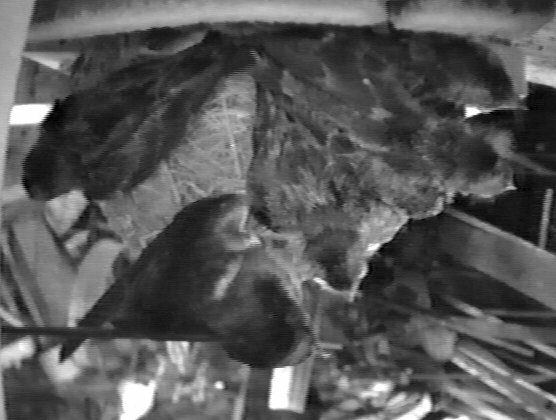 At two nests, the camera was placed directly over the nest through a hole in the floor above the nest. 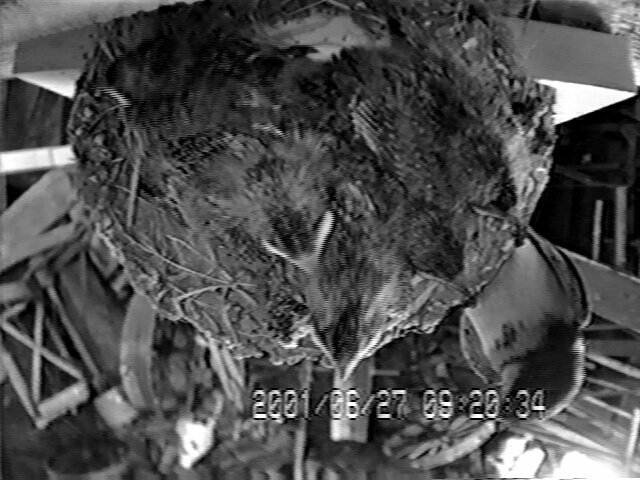 Other nests are viewed from the side. 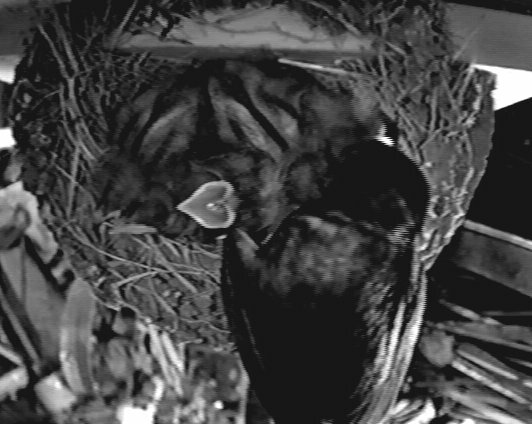 The following still photos are taken from a single frame of video from the 6 hr vhs tapes. 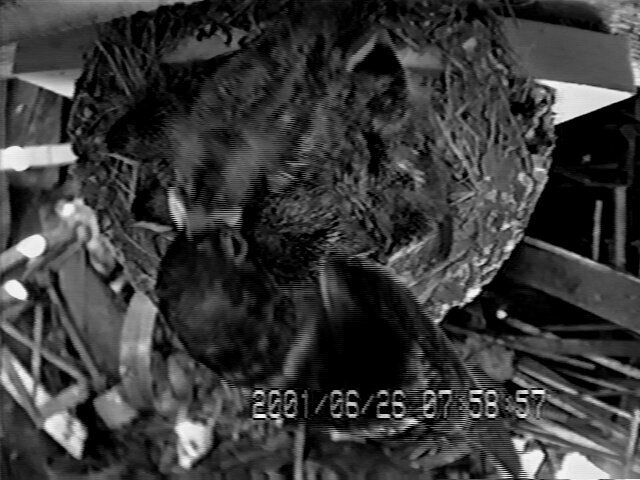 This process results in a substantial loss of quality compared to the original camera image and vhs tape. 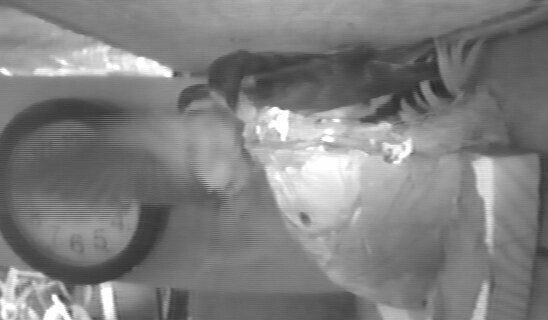 This was only a very preliminary look at equipment and methodology to compare barn swallow feeding visits to weather. 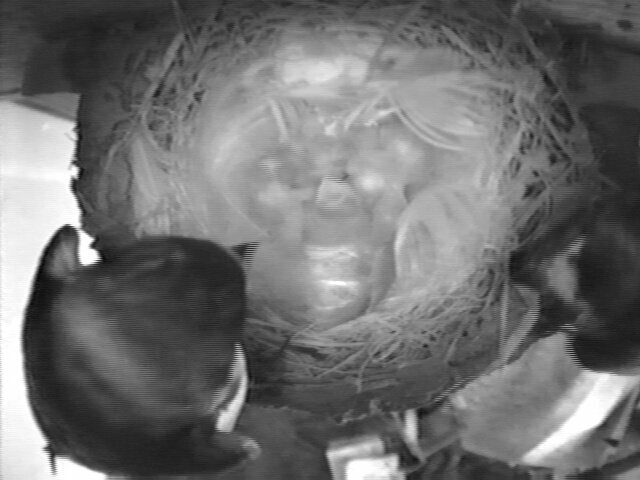 In previous years, I had kept daily weather records, but realtime weather records superimposed on the swallow nest video would be much more informative. 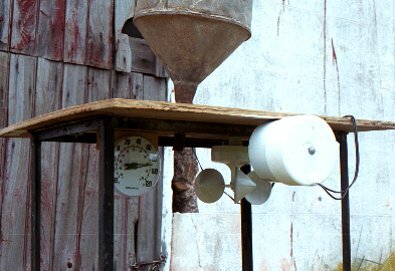 The very low tech weather cam consisted of the spinning cup mechanism from a broken anemometer, a large funnel to concentrate rain and drip on a movable flap, and a dial thermometer. 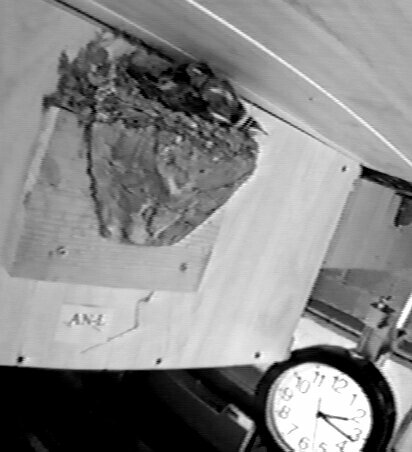 This provided an accurate temperature reading and an estimate of wind speed and rain fall. 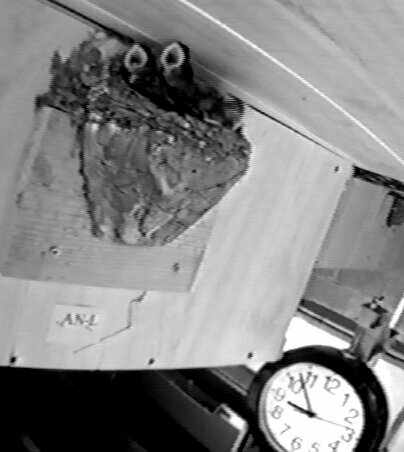 The visual anemometer was quite sensitive and easy to see in the video. 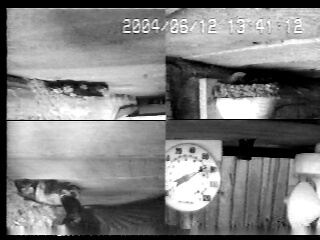 The rainfall indicator could be improved as far as visibility, especially in infrared lighting when used for bat video. 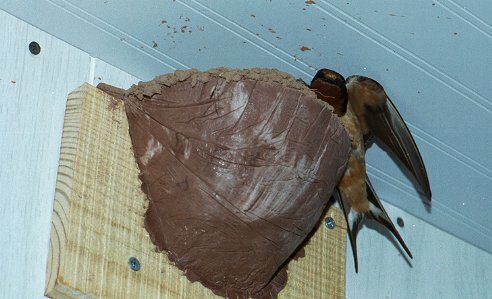 Barn swallows, being aerial insectivores, have difficulty catching enough insects to feed their young during bad weather. 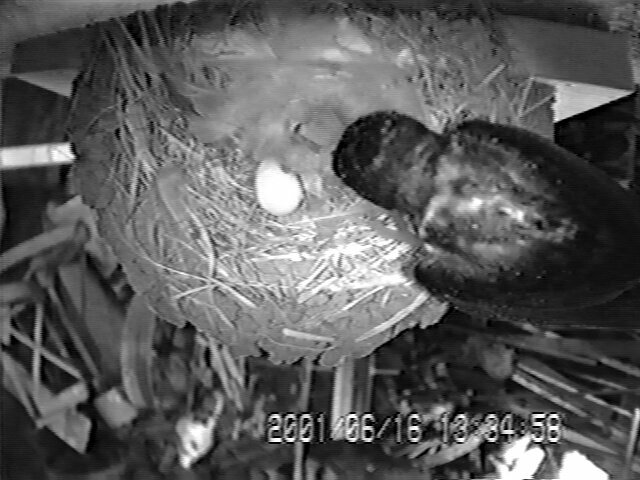 The effect of prolonged severe weather is demonstrated by nesting failures. 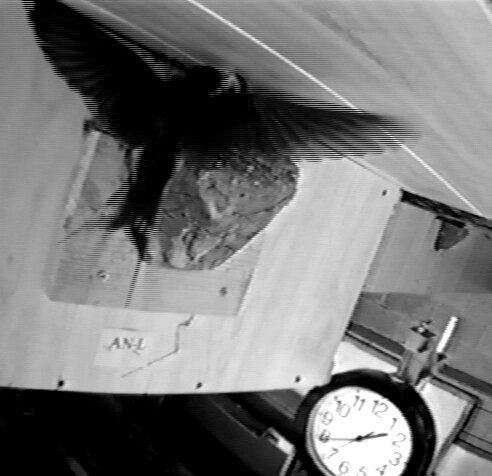 But, frequent brief bouts of cold wet weather may also have an effect on nestling growth and fledging success. 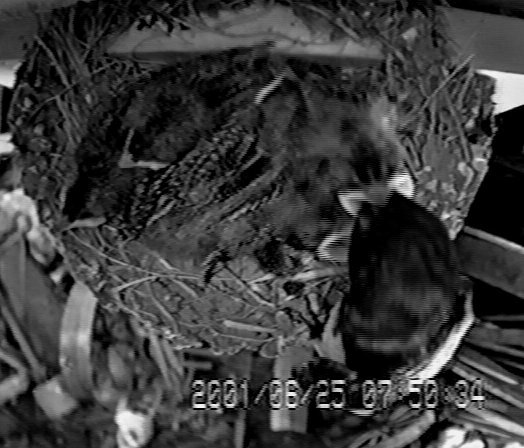 Monitoring the number of feeding visits at up to three same age nests as well as current weather conditions can be done by using a quad processor and vcr. 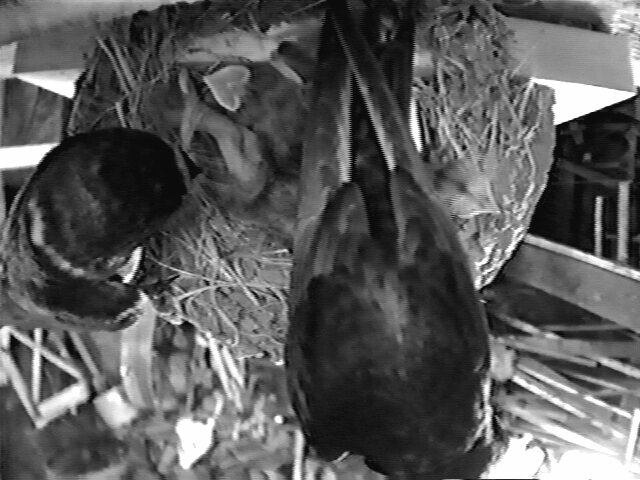 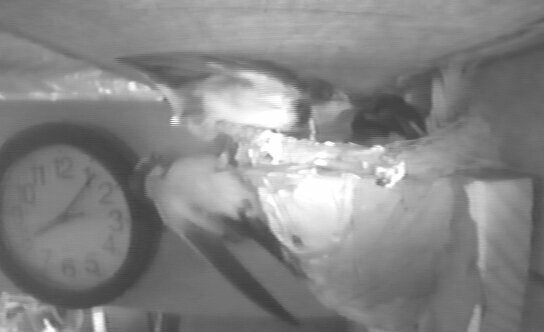 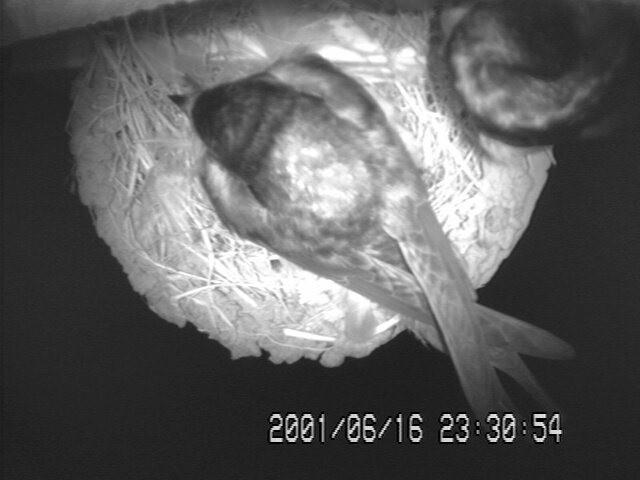 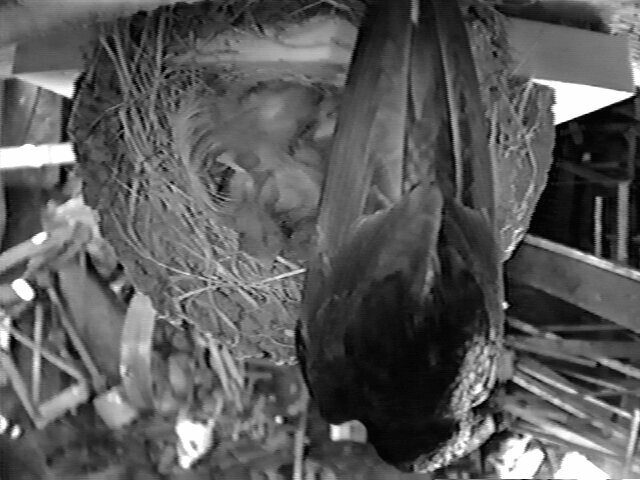 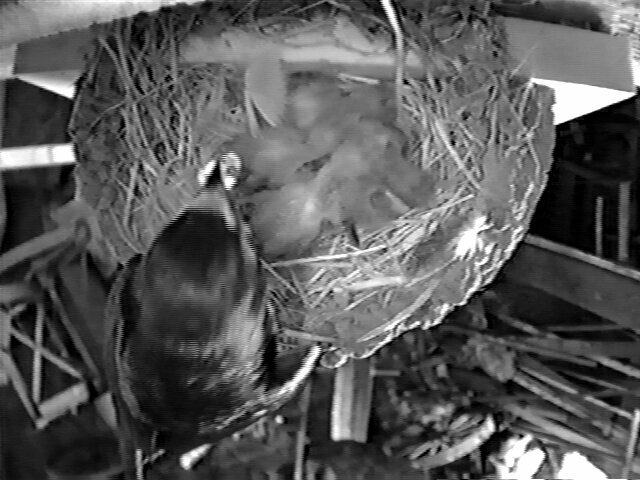 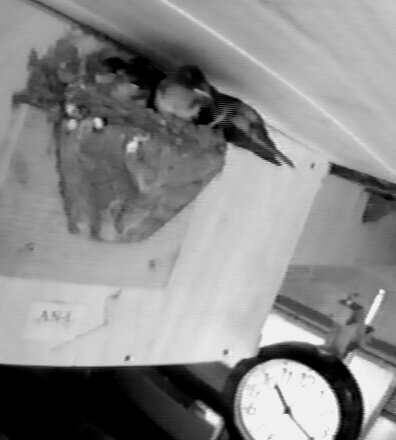 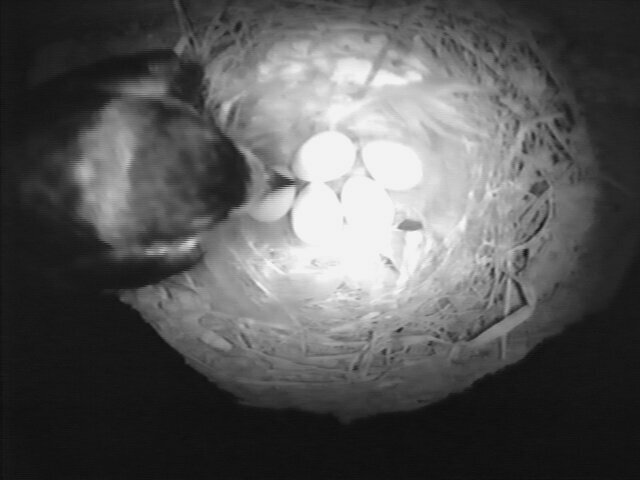 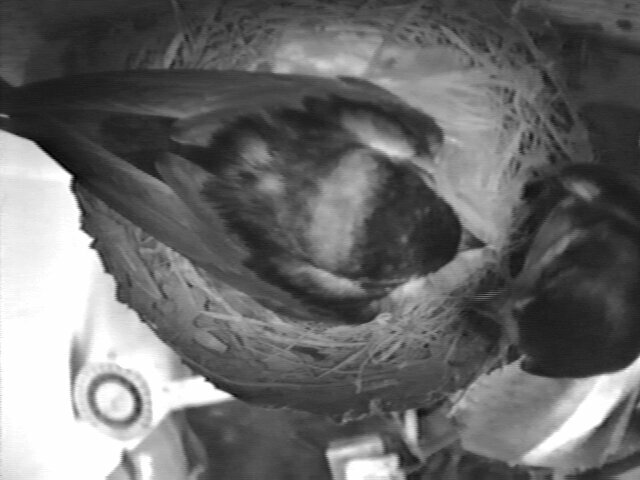 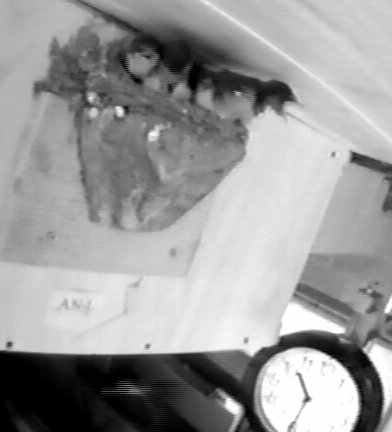 I review the tapes in fast forward, sometimes watching only one nest at a time, since some feeding visits are of such short duration that they may be missed if trying to monitor all three quadrants of the screen simultaneously. 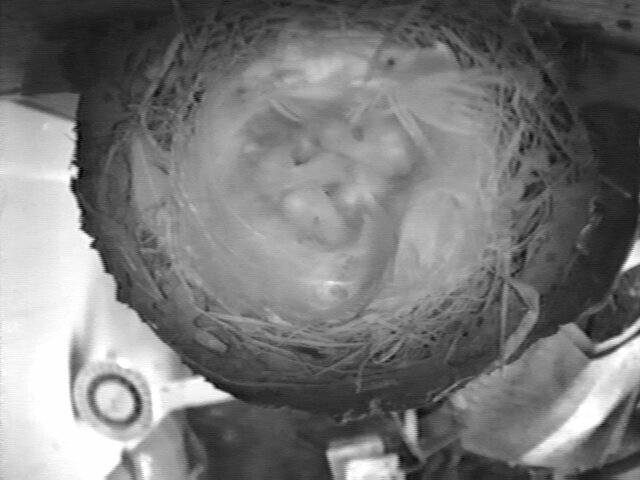 Another option is to review the tape in realtime and watch all 3 nests at once, pausing the tape whenever necessary to enter data. 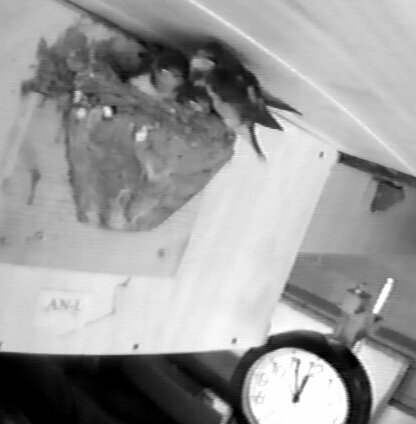 Old fashioned hand counters are useful for tallying feeding visits without taking your eyes off the screen. 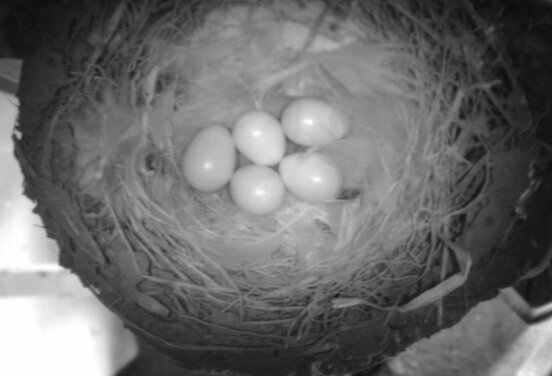 Blood cell counters allow entering separate totals for each nest. 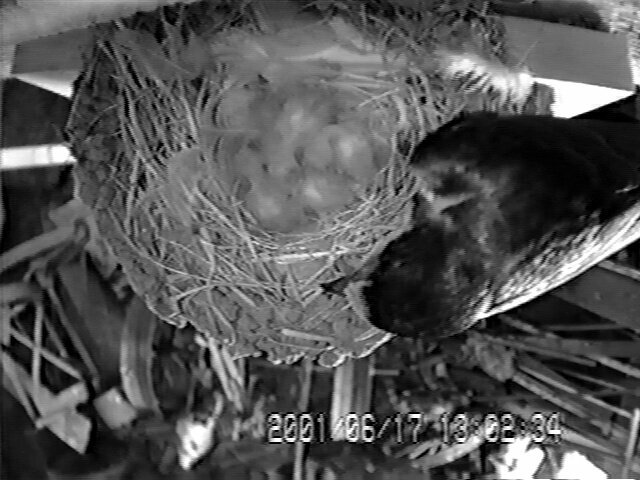 quad view - feeding visit at lower left. 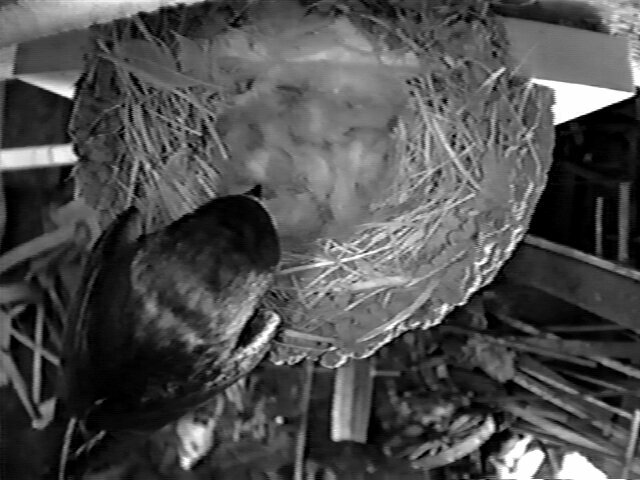 quad cam - feeding visit at upper right. 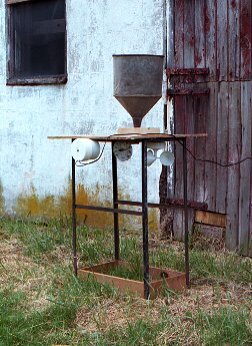 © 2001 - 2013, American Artifacts and Richard Van Vleck, Taneytown, Maryland.